After the Armistice of 22 June 1940, Alsace and Moselle were annexed de facto by the 3rd Reich. 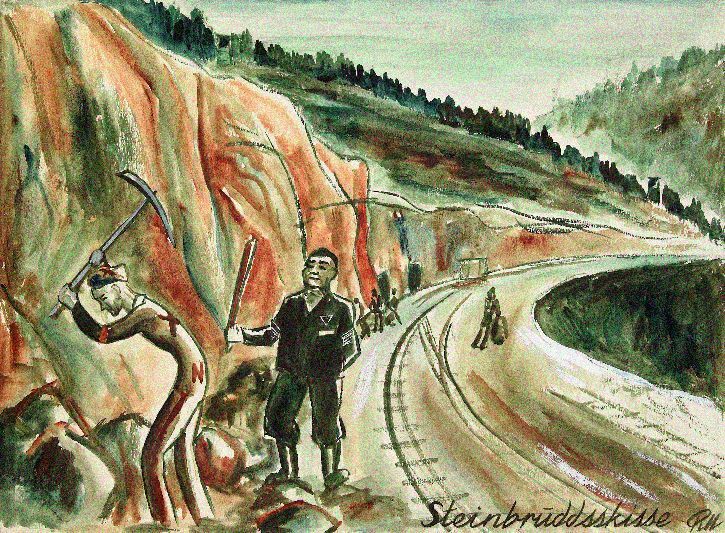 The small village of Struthof, on Mont-Louise, was a tourist resort much appreciated since the early 20th century, in particular by holidaymakers from Strasbourg who came for its hotel and ski slopes. But it was picked for its seam of pink granite discovered by the SS geologist Colonel Blumberg in September 1940. Heinrich Himmler, head of the Gestapo, decided in march 1941 to create at this place a concentration camp in order to exploit the deportees at the granite quarry. The first deportees arrived here in two convoys from Sachsenhausen camp on 21 and 23 May 1941. They built the first huts of KL Natzweiler. Declared a forbidden area, the camp was completed in October 1943.